If you are not a local from North Sydney, you might never have heard of Waverton Park. In my case, if I were not writing for Hello Sydney Kids, I would never have discovered it. The only drawback is that there isn’t a café. But there is a kid-friendly bowling club. Ready? Happy exploring! Waverton Park is definitely a hidden gem for non local families. From its terraced walkways, you can enjoy breathtaking views of the Sydney CBD, the Sydney Harbour Bridge, and Berrys Bay. 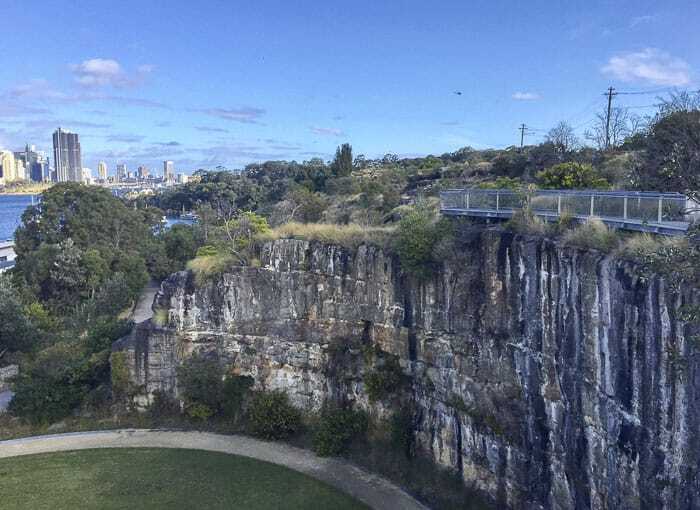 According to the web page of the North Sydney Council “the park is part of an extensive open space network on the Waverton Peninsula that includes the BP Parklands, Balls Head Reserve and the former Coal Loader/Caltex site”. 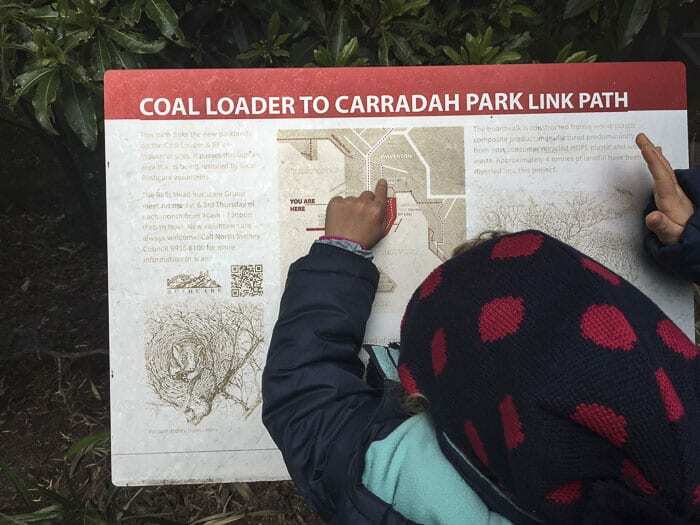 In Hello Sydney Kids, you can find separate information about Balls Head Reserve and The Coal Loader. The area is so big, that it would have been impossible to summarise all the information in one review. 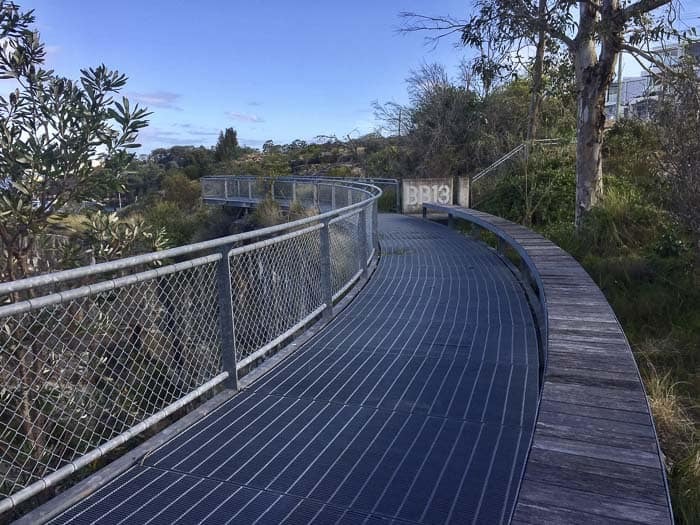 Waverton Park has public toilets, sports fields with changing rooms, stunning views, open grassy space, generous shade thanks to the big fig trees, a fantastic playground and exhilarating walks. The playground and the walks are definitively the highlights of Waverton Park! 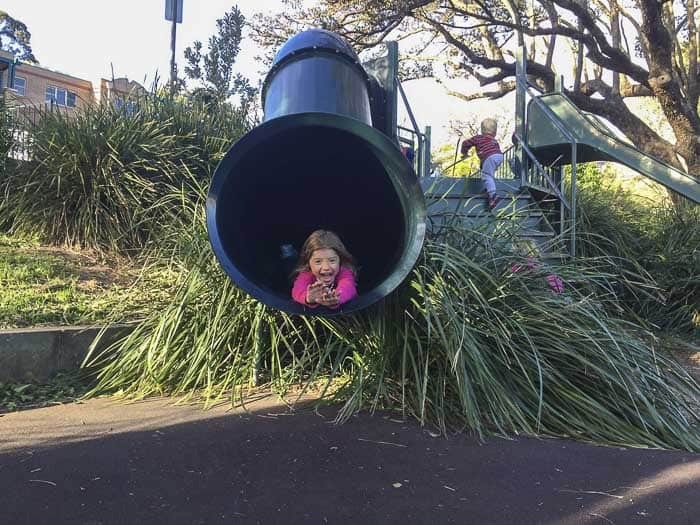 Merrett Playground is located at the top of Waverton Park, far away from the water, in an ideal location. If you have young kids, you will love this playground because it is fenced. For older children, there is plenty of space. 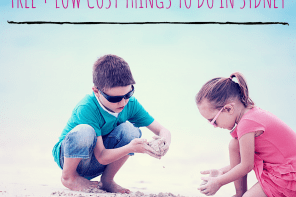 Don’t forget to bring along a soccer ball or a cricket bat, then the big ones can play at the adjacent grassed embankment while the little ones have fun in the playground. Because of its proximity to “the Old BP Site”, this playground has motor themed equipment such as the gas station playhouse and the rocking car. There is also a set of swings. My daughters had a blast in the spinning cup and the tunnel slide. The playground doesn’t have shade sails, but it has some trees. And, along the side of Larkin Strett there is plenty of shade thanks to the amazing big figs. Note: the spinning cup is not suitable for toddlers. Little feet might get trapped in the gap between the paved area and the cup. The playground has two slides. They are perfect to have a thrill. My daughters loved these slides, they didn’t want to go back home! One of the elevated walkways of the “Old BP Site”, formally Carradah Park or BP Parkland in Waverton Park. “The Old BP Site” is not as well known as Balls Head Reserve, but it is definitely worth to visit. Part of the problem is that “the Old BP Site” technically belongs to “Waverton Park”, as explained before in this article. After doing some research, my understanding is that the four names of “Carradah Park”, “BP Site”, “BP Parkland” and “Waverton Peninsula Reserve” coexist, which makes it very confusing. The parklands actually cover a big area, so it makes sense to refer this area as “Waverton Peninsula Reserve”. But, let’s go back to the origins to have a bit of better understanding. As you can see in this photo, the big semi-circular wall has the shape of the oil tanks. They were massive! “The Old BP Site” was the site of a major oil storage facility from 1922 to 1993. BP Australia operated in there until 1993. In 2005, it was re-opened as public parkland. The parkland was designed in a way that keeps the balance between the industrial heritage and the natural landscape. Furthermore, the award-winning design achieved a seamless transition from the existing Waverton Park to “The Old BP Site”, making the new area to look like a natural continuation of Waverton Park. My daughters didn’t appreciate the architecture involved in the construction of the parkland, but they enjoyed running through the walkways and of course, they were mesmerised by the views. Nearest takeaway coffee: No, but Waverton North Sydney Bowling Club might serve you take away coffee. The bowls club has kids menu. It is very conveniently located, as it is adjacent to Merrett Playground in Waverton Park. Note: it only opens Wednesday to Sunday from 12pm. 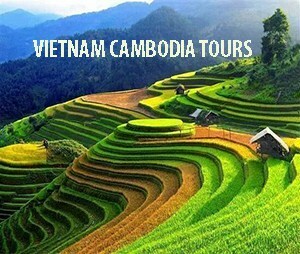 Bookings are recommended. Mum’s report: There are some days that – let’s be honest- we are just tired. It doesn’t matter how early you went to bed. Waverton Park is the place that you might want to keep in mind, if you are looking for an easy day. It is not far away from the city. The playground is small, but it is great fun for the kids. And there is plenty of grassy space for the kids to run around and to spread out the picnic mat. Feeling active? Not a problem. The park has sports grounds and walkways with breathtaking views of the city. Summarising, Waverton Park is a little gem on Waverton Peninsula that I wish to have discovered before. Sometimes, children don’t need a big playground to have fun. 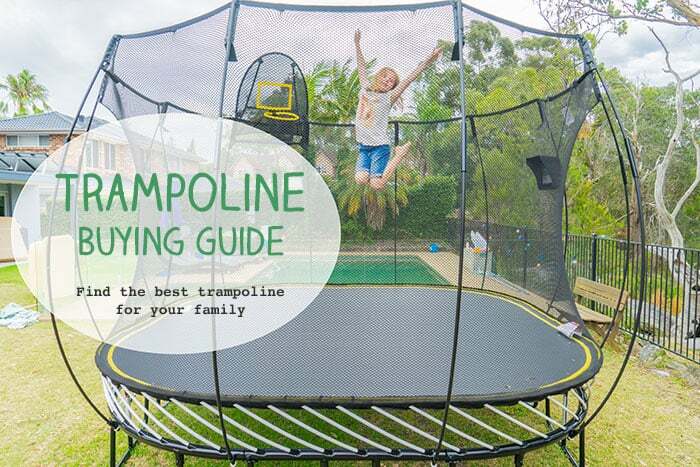 A small playground with the right equipment is enough. If you plan to go to Waverton Park or The Old BP Site for New Year’s Eve, North Sydney Council website has very handy specific information regarding roads and street closures. If you have older children, it is possible to walk from McMahons Pt Wharf to Balls Head Reserve. It is 3km one-way. You can find more info on the North Sydney Council web page. For a longer day out, extend your day visiting Balls Head Reserve or The Coal Loader. You can actually walk from Waverton Park to Balls Head Reserve and to The Coal Loader. At the end of The old BP Site, in Balls Head Rd, you will see some stairs that lead you to Balls Head Reserve and The Coal Loader. The Coal Loader has also a café, which is always good to know. This map on one of the sides of Balls Head Road shows you the access points to the Coal Loader and to Carradah Park (the “Old BP Site” / BP Parlkand”). There is a link path that communicates the two areas. Bus stop nearby: M20 and 252 bus routes stop at Bay Road near Woolcott Street and Woolcott Street near Waverton Park (please, always check updates prior your trip on Transport NSW web page). 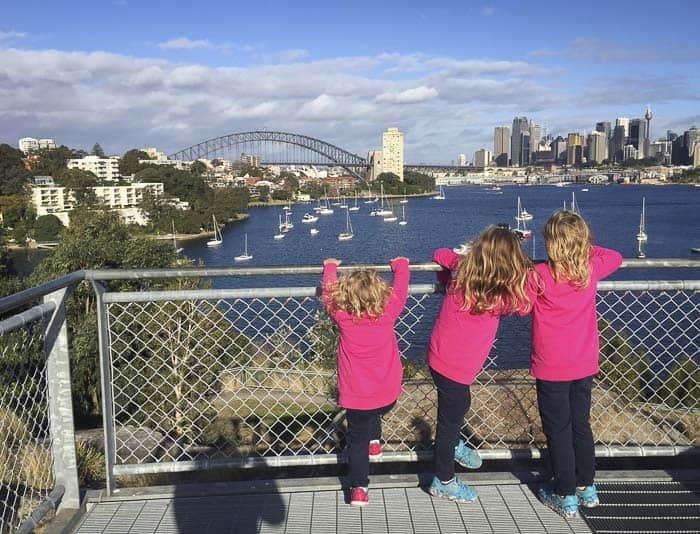 Waverton Park with the views of Sydney CBD, easy walking tracks, and a fenced playground is a great place to go, if you need a hassle free day with the kids, as I did. Next time, I have to go to the kid friendly bowling club that it is adjacent to Merrett Playground in Waverton Park and have some fun with my daughters. Would you like to join us?